Debtmerica | Debtmerica specializes in debt settlement and offers its service as an alternative to credit counseling or debt consolidation. Debtmerica – Debtmerica specializes in debt settlement and offers its service as an alternative to credit counseling or debt consolidation. †Clients that are current in program typically see at least one enrolled debt resolved. John, I just wanted to tell you that I appreciated how nice and understanding you were thru this embarrassing issue of ours. I was so afraid that the person on the other end of the phone would make me feel worst than I do and you did just the opposite. You definitely made the process easier than I thought it would be and still left me with some pride and dignity. Lou Ann"Easier Than I Thought"
Thank you for everything. This process was easier than I thought. I appreciate the time you took to make me feel like I was your only customer. I would recommend your service to anyone. Francis"I Would Recommend Your Service to Anyone"
The guidance and understanding I have received from you has been well appreciated. I have felt as if I was communicating with an individual not a company. “I spoke with Sonia today” not “The Company called”. This type of treatment is so essential, when someone is going through a time of questioning their worth, due to the strains of daily life as they attempt to put their financial life back in order. Kimberly"I was communicating with an individual not a company!" Annie, I just wanted to thank you for your help. I was at a point where I didn’t have any answers. I was seriously contemplating bankruptcy. In fact, if you and I didn’t have our conversation last night, this would be the direction I was heading. Your company has given me hope. James"Your Company Has Given Me Hope"
We are an American Fair Credit Council member business. 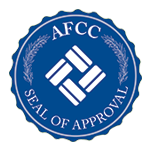 AFCC has determined that Debtmerica meets AFCC Membership Standards and we adhere to the AFCC’s strict Code of Conduct. One of the most experienced teams of Professional Debt Specialists in the business. You are in good hands with our debt resolution experts. If enrolled in one of Debtmerica, LLC’s performance based programs, Debtmerica, LLC will not receive any fees until the terms of your debt have been altered with one or more of your creditors. Debtmerica Relief is committed to providing a safe and secure site that you can trust. We take your privacy seriously. We do not sell or share your information with third parties. Debt Consolidation: “Debt Consolidation” is one of the most commonly misunderstood and misinterpreted personal finance strategies that consumers inquire about all the time. While some view it as a method of taking on new loans, others see it as a debt relief alternative. It is more important than ever for inquisitive consumers to have a very strong understanding of exactly what debt consolidation entails, and the impacts it can have on personal finances. Debt Relief: Debt relief is defined as a partial or total forgiveness of debt. When the term is used by the government, it usually refers to the forgiveness of debt to underdeveloped countries. Recently, it has begun to refer to the millions of consumers who are overwhelmed with debt seeking financial relief from their unsecured debt. Credit Card Debt: Credit card debt is an example of unsecured consumer debt, accessed through credit cards. Debt results when a client of a credit card company purchases an item or service through the card system. Debt accumulates and increases via interest and penalties when the consumer does not pay the company for the money he or she has spent. Debt Settlement: Debt settlement programs use a third party to negotiate lower balances and interest rates on unsecured debt. This type of debt management plan helps provide consumers an alternative to bankruptcy while reducing your outstanding debt. Credit Counseling: There are a numerous options for consumers who want to start getting their finances under control after accumulating large amounts of debt, which could inevitably lead to credit problems further down the road. Consumers who are in control of most aspects of their finances, but still feel like they could use additional help managing their debt burden, could certainly benefit from the assistance of a consumer credit counseling service. How Do I Get Out of Debt? : Now that the national economy is beginning to recover and people are having a better time dealing with their personal finances, many consumers who found themselves sunk deep in debt over the last few years may be asking themselves the question, “How do I get out of debt?” Fortunately, there are a number of avenues consumers can take to get out of debt, each with benefits and drawbacks depending on how quickly people need to fix their financial problems. 10 Tips to Avoid the Debt Trap: Have you ever thought about why so many of the people you know are struggling with debt? Do you ever wonder why banks keep lending to certain individuals, even when they are falling behind on their payments? Did you know that debt problems are a leading cause of major societal problems, such as stress, divorce and alcoholism? Credit Management: Many consumers are finding themselves buried under a pile of mounting debt. With interest accumulating month after month in addition to late fees being charged, many consumers are finding it difficult to make just the minimum payments on their credit cards. Although this may seem like an endless battle, with a strict budget and some discipline there are credit management strategies and solutions that will allow consumers to reduce or even eliminate their debt. Credit Card Debt Reduction: In recent months, many Americans have made a greater effort to seek credit card debt reduction and reduce the balances they owe, but some may not know where to start. Fortunately, there are several options available for consumers thathave a financial goal to achieve credit card debt reduction. Credit problems: Paying down high levels of debt is one of the best ways to improve credit problems and increase one’s credit standing. But many people cannot do that so quickly, especially in this economy. About one-third of a credit score is based off of a credit utilization ratio, which is the total creditbalances divided by the total credit limits. A great target is to use no more than 30% of one’s available credit.